As the world marks the International Day for the missing persons, a pro-democracy group – HUMAN RIGHTS WRITERS ASSOCIATION OF NIGERIA (HURIWA) has condemned the conspiratorial silence of the Federal Government on the alleged enforced disappearance of the Director of the Europe registered but Nigeria proscribed Indigenous Peoples of Biafra (IPOB) Prince Nnamdi Kanu and his parents. HURIWA said it is imperative that the Presidency which directed the Nigerian Army to in the words of the military 'flush out' the unarmed members of the indigenous people of Biafra (IPOB) is tasked under a legal obligation to render transparent and an unambiguous account of the whereabouts of Prince Nnamdi Kanu, his parents and dozens of other civilians who are victims of enforced disappearances as a result of the bombardments of the expansive premises of the leader of the now proscribed Indigenous peoples of Biafra (IPOB). Relatedly, HURIWA cautioned government to build and domicile for operation, the national data base of missing persons in Nigeria under the National Human Rights Commission and perish the bogus idea of setting up a separate commission on the missing persons shich is the intention of the government funded ad-hoc committee on missing persons chaired by a Presiddntial adviser abd wife of erstwhile Chief justice of Nigeria Mrs. Mariam Uwais which is called Technical committee on the establishment and management of the data base of missing persons which has been in existence for three years now. The Rights group warned against setting up another money guzzling Presidential on the thematic mandate of missing persons since Nigeria already has a well structured national institution for the protection of human rights which the theme of missing persons fall under. 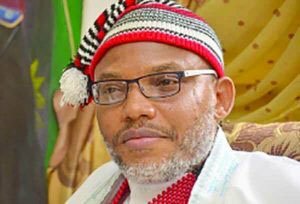 The Rights group charged the Federal Government to render proper accounts of the whereabouts of Mr. Nnamdi Kanu and his parents who were last seen after the ferocious attack in their country home in Umuahia by the Nigerian Army during the controversial Operation Python Dance Two. “The idea of keeping silence and hoping that Nigerians should forget that they watched on public and private media as the Nigerian Army attacked the premises of a Nigerian family in Abia state under the operation python dance two and half of the members of that family disappeared soon thereafter as a consewuence of that military invasion and attacks is unconstitutional and primitive. Let the federal government render account of what transpired that led to these enforced disappearances”. HURIWA has also tasked the Federal Government to provide clues that could lead to the finding of all missing members of the self-determination group IPOB who reportedly disappeared during the conduct of operation python dance II by the Nigerian Army characterized by widespread human rights violations including the use of physical and psychological torture on unarmed civilians only because they identified with the now proscribed pro-self-determination group known as Indigenous Peoples of Biafra (IPOB). HURIWA called on the United Nations to protect the lives of members of the Nigeria proscribed Indigenous peoples of Biafra which is legally operational outsixe of Nigeria but hurriedly banned in Nigeria and these members and associates of this group are now seen as persona non grata whose lives are at risk of enforced disappearances or extralegal execution.